Say Yes to Your Healthiest Best. 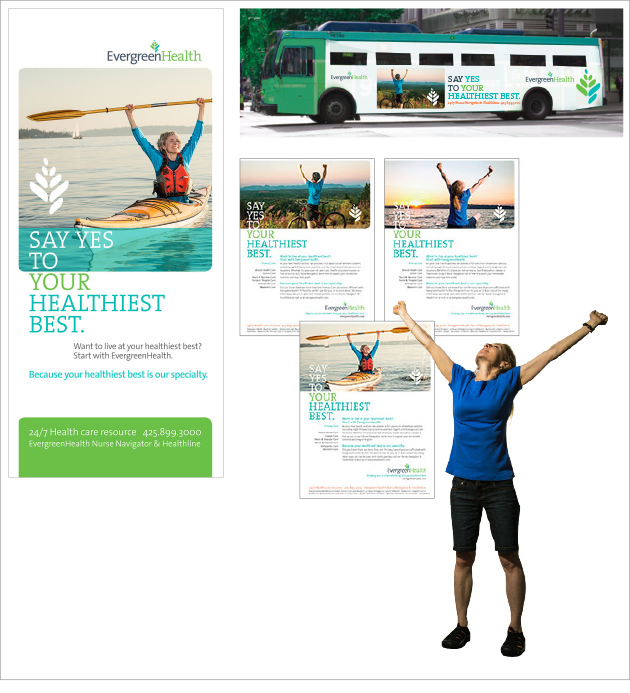 The desire and goal for everyone to live their healthiest best is more than a headline at EvergreenHealth. It's part of their core mission to provide the best health and wellness care available to everyone they serve. In this initial phase of the project, Arscentia extended an already great brand into a campaign to encourage both the EvergreenHealth team and the community to get engaged and excited about living at their healthiest best. The result? A culture shift in thought and action for everyone involved.